As mobile phones became the primary way to access the internet, mobile apps gave way to websites as the primary user interface of e-commerce. Hundreds of thousands of mobile apps are being developed and hosted in the app stores. However, recent studies are clearly indicating that most people use only three to five mobile apps frequently. Brands which have been developing these applications and wondering why there is hardly any usage of these apps have started to realize that the problem lies not in their own apps but in the app ecosystem itself. App stores which are the doorkeepers of the app ecosystem have hurt the broken the ecosystem itself by making apps unviable for the brands. Another significant mobile trend is state of social networks on mobile platforms. Facebook is one of the killer apps on the mobile phones with billions of people accessing it on their mobile phones. However, for brands, the content they create gets buried in the newsfeed and is hardly effective anymore. Brands are now forced to invent new ways of engaging the customers on the mobile platform. Closed social networks like Facebook have also become unviable as a mobile marketing channel for brands. Zuckerberg touted that “You have one identity; the days of you having a different image for your work friends or your co-workers and for the people you know are probably coming to an end pretty quickly.”Why Facebook has been promoting the “Collapsing identities” as a good thing? Because Facebook has benefitted from the context collapse; it grew a database of behavioral information which is the USP of its advertisement network. As people wanted to share different things with different groups, mobile messaging apps usage has risen very sharply. Today Facebook is no longer a place to keep up with close friends and family; today people are using it as a content network, a place to find and share the content you want. Every messaging platform has now launched SDKs to help developers create chatbots for their platform. Facebook is already showcasing success stories of early adopter like Taco Bell, KLM airlines etc. As customers can order food, make flight reservations and check flight status, Chatbots are now being promoted as the new marketing front. As early adopters of the technology will gain over their competitors, many brands have started to develop their own business bots. Even though bot technology has been existing for a long time, the maturity of key enabling technologies like mobile devices, mobile messaging platforms, and web services is driving mass adoption of Business bots. 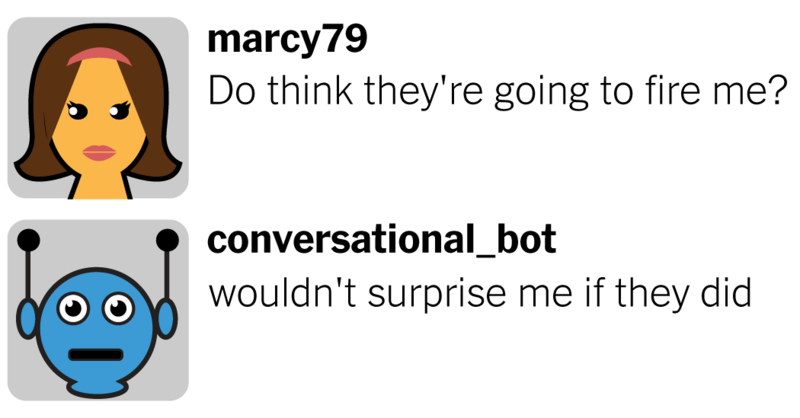 As customers are ready for Business bots, they are like websites of 2019. It is not what the technology is but how brands can effectively use it to stand out against the competition.